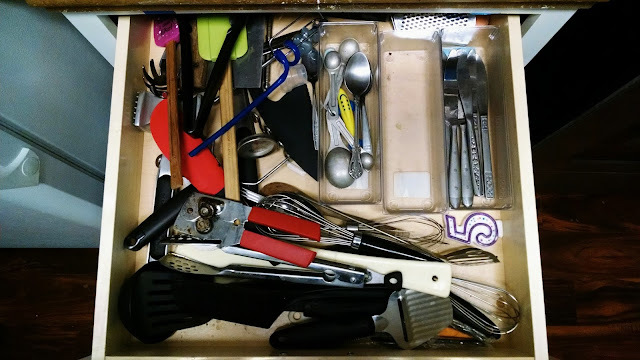 Utensil drawer organizer and 300th post! 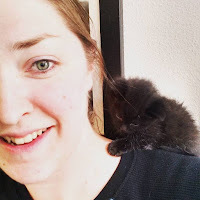 This is my 300th post! 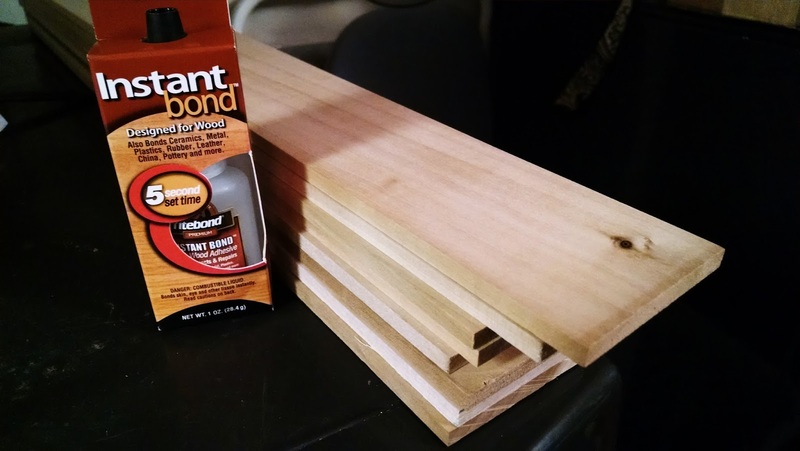 And to celebrate, I've got a DIY project that you are going to love. 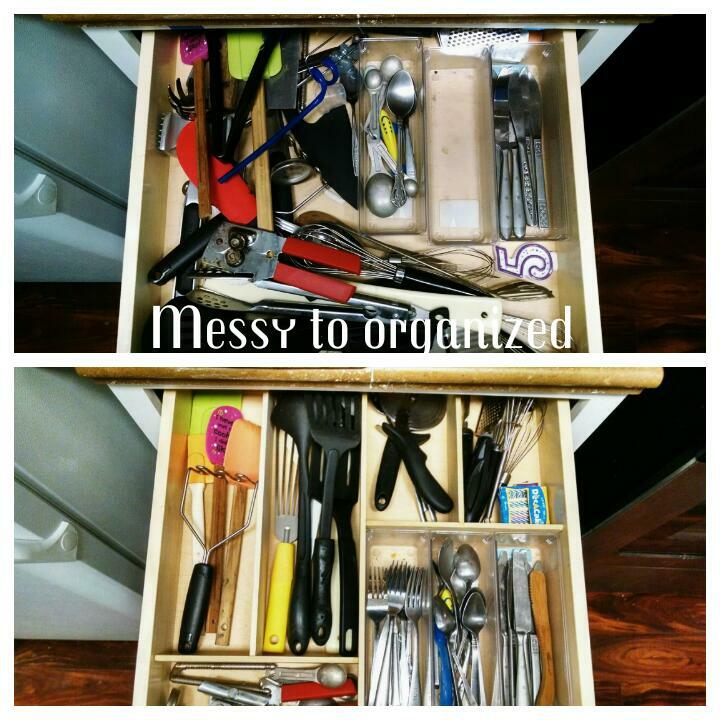 It's going to make your life so much easier and organized. My utensil drawer has always been a mess and there wasn't much I could do about it. 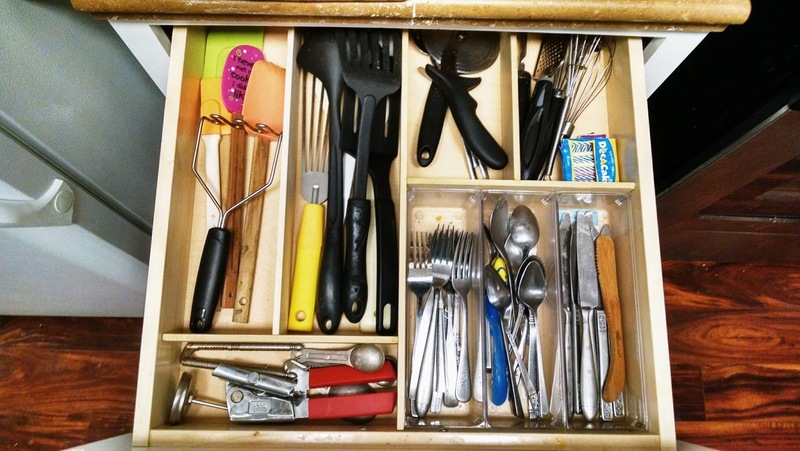 The silverware containers were sliding to the back every time I opened the drawer and the rest scooted around in there like my middle son without his caffeine in the morning. I couldn't find anything and when I did organize the drawer, a day later it would be back to the way it was before. I know you all can relate. 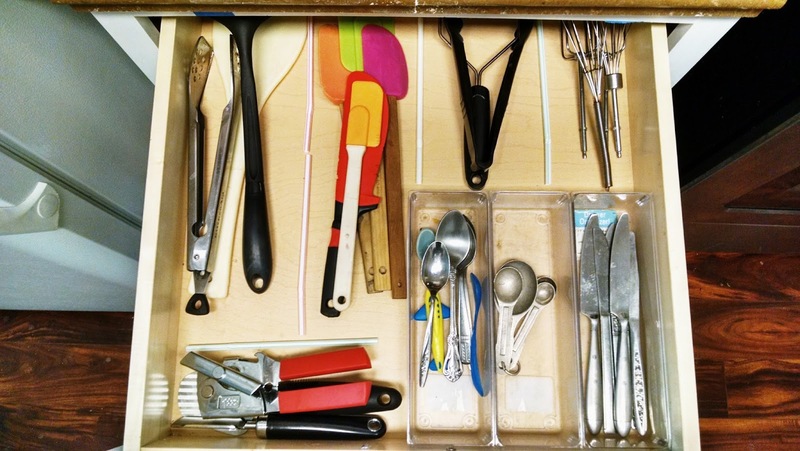 I found this tutorial on Pinterest that showed how to make a really cheap and easy organizer for my utensil drawer. Can we say life hack. This is so easy, I really suggest you try it. What I did first was organize the drawer. Separate all the utensils into types and place them in the drawer how they fit best. It was pretty hard to come up with a layout that worked, especially so I could reach the ones in the back. 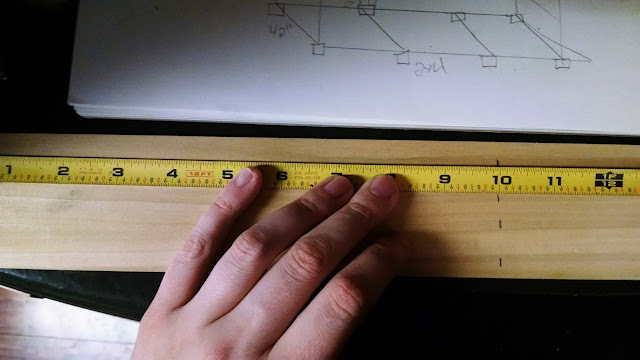 You could always get the full extend drawer sliders if you want them to come out farther, but I didn't get those. I then used straws to mark out where I wanted to put the boards. This way I had a visual and something to measure. After I had my measurements, my adorable and most helpful husband cut the boards to size with a hand saw and his muscles. I suppose I could have done it, but it wouldn't have been as much fun :). Before I glued the boards together, I put them in the drawer where they were supposed to go, to make sure they fit properly. Its a good thing I did too. Two of the boards were to long and needed to be trimmed... several times. Let's just say my measurements were slightly off.